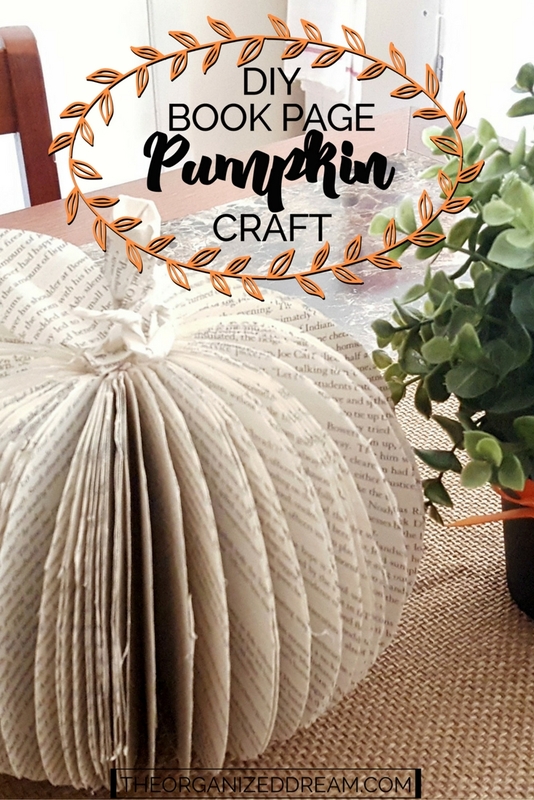 So, not too long ago I created a Magnolia wreath out of book pages. 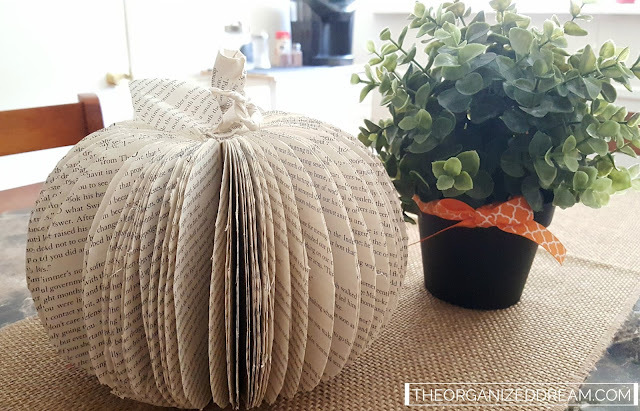 I then thought that it would be a good idea to make something that would compliment the wreath well and since it's almost Fall, why not tackle a pumpkin out of book pages, too? I know, you've probably seen these before. 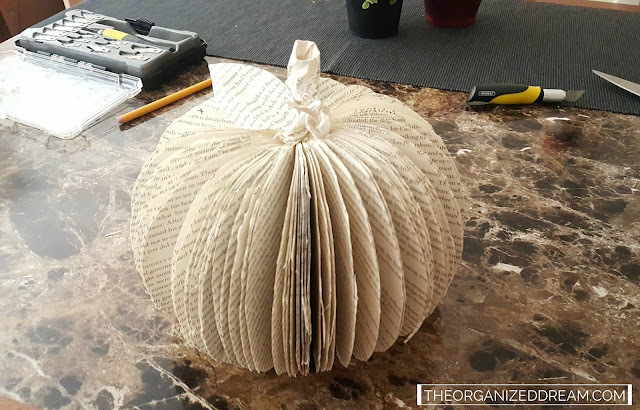 I definitely have, but I thought that this was going to be one of those crafts I try from Pinterest and get frustrated half way though, throw it in the trash and curse myself for wasting my time so I never made one...well, it was easier than I thought! Anyway, I just wanted to show you how mine came out. 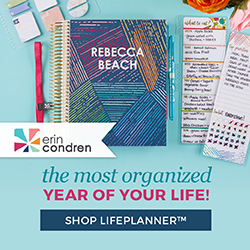 I hoped on over to Celebrate-Creativity.com where Lisa had super simple steps to follow. I suggest using her tutorial because, out of the few I checked out, her's was the best. She opted to use a real pumpkin stem. Others used sticks or wire. I chose to make the whole dang thing out of paper because it was what I had on hand at the time. It took a little finesse to get the paper to form the right angles for the stem and the little curly que, but the leaf was easy. There are a lot of great ideas to color them as well. Before you fan out the paper, you can gather all of them together and use a marker to color the edges. You can use spray paint also, but to keep with the same kind of look as my wreath, I just left them plain. I made a Christmas tree one year which was pretty easy, I like the idea of a pumpkin. thanks. A Christmas tree sounds like fun! Thanks for stopping by! This has got to be the cutest pumpkin I have ever seen! Can't wait to try making one! Thank you, Sam! Can't wait to see yours! 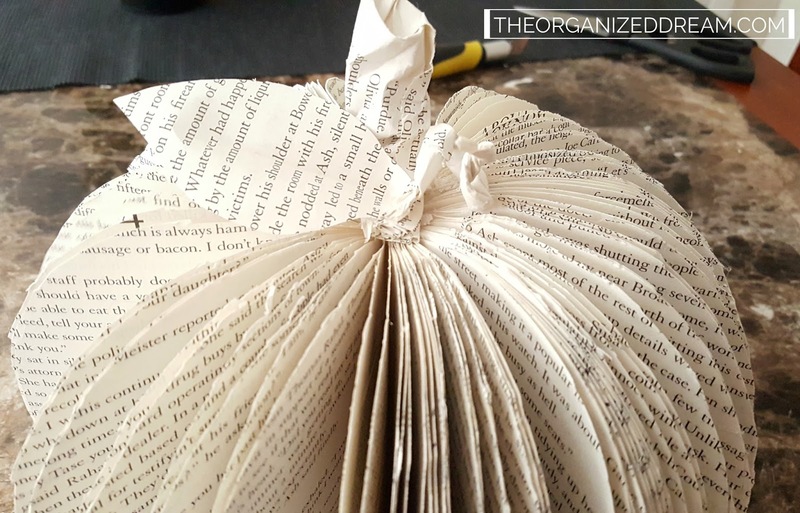 Lo-ove your book page pumpkin. It's so charming. Thanks for sharing at the #ThisIsHowWeRoll Link Party at Organized 31. Thank you, Susan! Love stopping by your party! Love this crafts! It looks vintage, which I love! Thanks for sharing at Welcome Home Wednesdays! You're my feature this week. Yay! 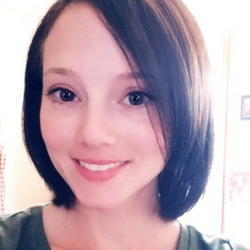 Thank you so much, Erin! I love to stop by your party!